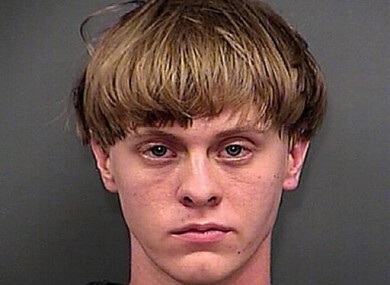 Jurors heard from witnesses who testified that Roof made multiple trips to Charleston in the months before the June 2015 attack at Emanuel African Methodist Episcopal Church. They also heard from two survivors. Roof’s attorneys called no witnesses. Prosecutors said in their closing arguments Roof was filled with hate and has already confessed to the FBI to his role in the shootings. Defence attorney David Bruck conceded in his closing argument today that Roof killed the victims. But he also argued Roof was a suicidal, impressionable loner who never grasped the gravity of what he did. Prosecutors successfully objected to several of Bruck’s arguments as he tried to argue Roof’s mental status. A judge has ruled that talking about his mental state is reserved for the next phase when jurors — if they find Roof guilty — will decide he if faces the death penalty. Email “Dylann Roof faces death penalty after being found guilty of killing nine people”. Feedback on “Dylann Roof faces death penalty after being found guilty of killing nine people”.